HUMBAHASTIMES -- Indonesian authorities turned to cutting-edge sonar technology on Friday as they search one of the world's deepest lakes for victims of a deadly ferry disaster. Just three passengers have been confirmed dead so far, while 18 were rescued. 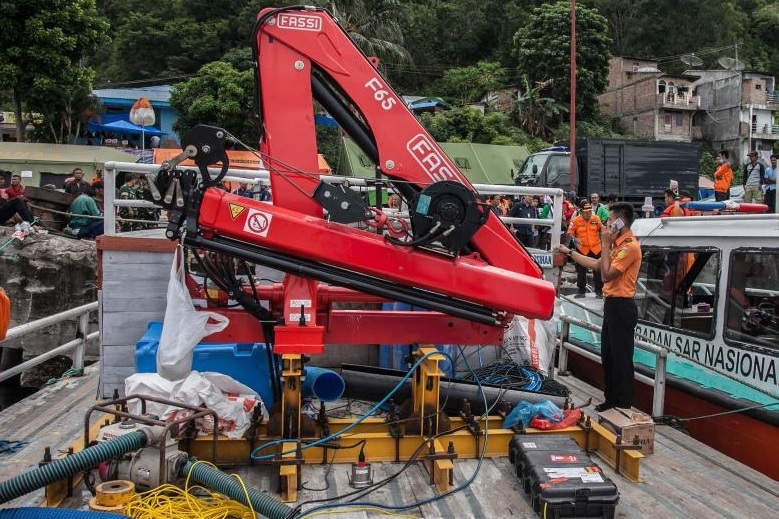 But official estimates list 193 others — including children — as missing, which has raised fears that many bodies are trapped inside the ferry at the bottom of the lake. The accident could be one of Indonesia's deadliest maritime disasters. Despite a massive search operation involving some 400 personnel, the vessel has still not been located after four days. Lake Toba, which fills the crater of a supervolcano that exploded in a massive eruption tens of thousands of years ago, is 500 metres (1,640 feet) deep in parts, hampering the search effort. It covers some 1,145 square kilometres (440 square miles). Sonar technology uses sound pulses to detect and pinpoint underwater objects. The advanced equipment rolled out for the search effort is powerful enough to work at the lake floor, authorities said. "Our search target for the ship is at a depth of 500 metres," Budiawan, an official at Indonesia's search and rescue agency, told AFP. "(This equipment) can reach 600 metres." A lack of progress in the hunt for victims has sparked anger among some of the hundreds holding vigil by the shore as they wait for news about missing loved ones. The traditional wooden boat could have been carrying five times the number of passengers it was built to hold, along with dozens of motorcycles, officials have said. The vessel is believed to have been operating illegally with no manifest or passenger tickets and authorities have struggled to pinpoint the exact number on board when it went down in bad weather. They have relied on reports from survivors and the families of missing relatives who may have been on the doomed vessel. The captain and owner of the boat, Tua Sagala, along with two crew are being questioned by police. Survivors have said the boat began shaking as it struggled to navigate strong winds and high waves about halfway into the 40-minute trip from an island in the middle of the lake to shore. Traditional vessels like the one in the Lake Toba disaster are often packed beyond capacity and lacking safety equipment.